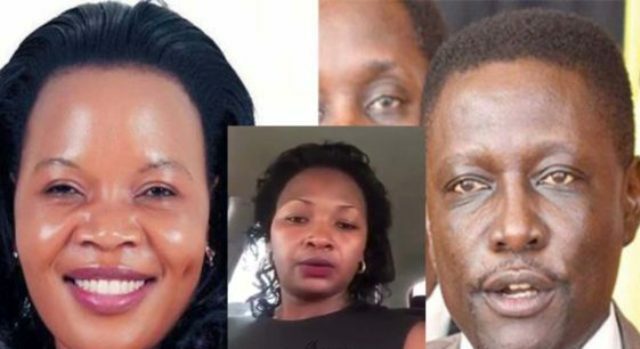 Few days after gospel singer Judith Babirye sent invitation letters to members of parliament inviting them attend her introduction ceremony at undisclosed venue, a woman claiming to be MP's real wife has surfaced threatening and accusing the Mama singer of being a man snatcher. According to the source close to the preparation of ceremony, the woman who claimed to be Musoke Paul’s wife seemed so eager and ready to spoil out the programs and appointments Judith Babirye was planning with Musoke. She is doing all this claiming that Sebulime is her man and both are fully married with kids aswell. On July 28th this year, it was the confirmed date for these two getting married and when the first wife to Musoke heard about this, she trashed all that implying that the two are just joking around with her. This new revelations have left the organisers into shock and are not sure wether the function will go a head as planned. Another source familiar with lovebirds said that, the fact that the MPs chose to legalize their marriage in secrets shows there is something behind the curtains. Why should someone invite people to unknown venue the source wondered. We shall continue to monitor this development as it unfolds.